The heart-rending story behind the award of the Victoria Cross to 18-year-old Canadian pilot Lt Alan Arnett McLeod. 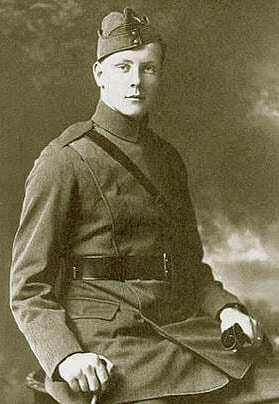 Lt Alan Arnett McLeod VC. 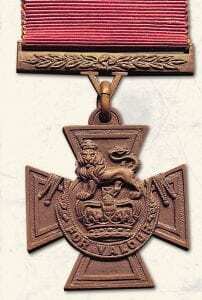 As a result of courage shown in the face of combat while at the same time being in the midst of the many dangers encountered while flying the fragile aircraft of the era, it is perhaps not surprising that during World War One the Victoria Cross was awarded for numerous acts of valour in the air. 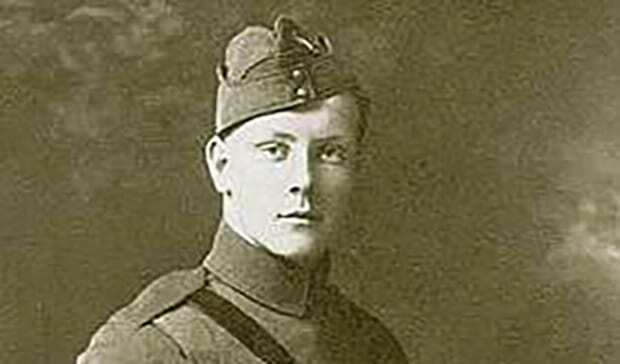 Of them, one which makes particularly emotive reading is that for 2nd Lt Alan Arnett McLeod. At just 18 years old he was severely injured in a dogfight with eight Fokker Dr.Is, but managed to get his badly damaged aircraft on the ground and then saved the life of his observer in a most incredible way, only to sadly die some months later from influenza. By 21 March 1918 the final German offensive had resulted in a fierce advance that was pushing the Allies back. As part of the effort to stop the advance, Allied aircraft were detailed to attack German infantry and artillery batteries. Early on the morning of 27 March – just days before the formation of the Royal Air Force – Lt McLeod and his observer Lt AW Hammond MC of 2 Squadron Royal Flying Corps took off in their Armstrong Whitworth FK.8 to bomb enemy positions at Bray-sur-Somme, near Albert. The weather that day was bad, and the crew lost their way in fog. They were forced to land at the airfield of 43 Squadron and slightly damaged the aircraft while doing so. Just after noon the FK.8 had been repaired, and despite continuing poor weather Lts McLeod and Hammond took off with the intention of carrying out their planned task. On reaching the target area they found an artillery battery to attack, but as they were preparing for the bombing run a Fokker Dr.I Triplane appeared out of some cloud slightly below them. Even though the enemy scout was faster and more agile than the heavily bombed-up FK.8, the teenage pilot skilfully manoeuvred it so that his observer could get a clear shot at their attacker. With several accurate bursts from Lt Hammond’s Lewis gun the Dr.I plunged to earth. However, another seven Triplanes appeared out of the cloud and immediately set upon the FK.8. Royal Flying Corps pilot’s wings. The German machines literally swarmed around the RFC machine, taking turns firing at the lumbering bomber. With further skilful flying Lt McLeod again gave his observer a good line of fire at the attacking Triplanes, two of which he hit causing them to fall earthwards on fire. The remaining Germans continued the frantic attacks, and bullets hit the FK.8 in the petrol tank which caught alight. The fire quickly spread and soon the pilot’s basket seat was ablaze. Lt McLeod had been wounded five times, but despite his injuries he climbed out of the cockpit onto the lower left wing, then somehow with flames licking all around him still managed to maintain some directional control of the FK.8 in an attempt keep the flames away from Lt Hammond so that he could continue to fire at the enemy scouts to keep them at bay. The pilot evaded the Triplanes and brought the badly-hit bomber in low over the German lines, then, with his right hand on the control stick in the burning cockpit, flattened out its approach angle ready to crash-land in ‘No Man’s Land’. The young Canadian got the burning aircraft down on the ground as best as he could, and having survived the ordeal he then proceeded to drag his severely wounded and badly burned observer free from the burning wreckage. With the FK.8’s bomb load still in place, this had to be done immediately. Lt McLeod ignored his own injuries and pulled Lt Hammond – who had been hit six times – out of the flaming aircraft and towards a shell hole for protection from German machine-gun fire which was by then being aimed at them. The aircraft exploded, and the blast from the bombs wounded the RFC pilot further. Despite this and with German bullets flying all around him, Lt McLeod managed to get himself and his observer into what protection the shell hole provided. They had to remain there until dusk, when it was safer for nearby Allied infantrymen to use the cover of darkness to rescue them. The aircrew received treatment for their wounds and were then moved to a casualty clearing station; both had incredibly survived the ordeal. Alan McLeod was shipped back to ‘Blighty’ and was admitted to the Prince of Wales Hospital in London where he remained in a critical state for months. Lt Hammond had lost a leg as a result of his injuries. 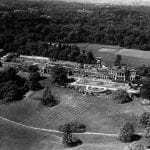 It was later announced that the Canadian pilot had been awarded the Victoria Cross for his actions on 27 March. Lt Hammond received a Bar to his Military Cross. Shortly after the award Alan McLeod attended an investiture at Buckingham Palace with his father, who had sailed to England from Canada to be with his son. By the beginning of September Alan appeared to be sufficiently on the road to recovery that he and his father could return to Canada to continue his recuperation at home. At the time a highly virulent strain of Spanish Influenza was widespread in Canada, and Alan unfortunately contracted the virus. Adding to this, in his weakened state he developed pneumonia and, after going through all that he had done during his courageous actions of 27 March, died from these complications inWinnipeg on 6 November – just five days before the Armistice. The Victoria Cross with its crimson red ribbon. The Victoria Cross is the premier military award for gallantry in the presence of the enemy which has been issued to members of the British armed forces and those of Commonwealth countries and previous British Empire territories. It can be awarded to all ranks of the services and may be awarded posthumously, plus civilians under military command can receive it. It is a bronze cross, and the obverse (face) of the medal bears a lion statant gardant on the Royal crown, with the simple but powerful inscription FOR VALOUR on a semi-circular scroll. The reverse has a circular panel inside which is engraved the date of the act for which the decoration was awarded. The cross is suspended by a ring from a seriffed ‘V’ to a bar ornamented with laurel leaves. The reverse of the suspender bar is engraved with the rank, name and ship, regiment or squadron of the recipient. The ribbon is of plain crimson, though prior to 1918 a dark blue ribbon had been issued for Royal Navy recipients. 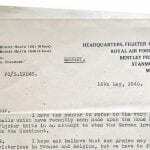 A bronze bar ornamented with laurels can be issued to VC holders performing a further act of such bravery which would have merited award of the medal. When the ribbon alone is worn, a replica of the cross in miniature is affixed to its centre. The Victoria Cross was instituted by Queen Victoria, from whom it gets its name, to cover all actions since the outbreak of the Crimean War in 1854. It has been awarded 1356 times, with only three bars ever having been added. The medal is made from the bronze of Russian guns captured at Sebastopol and it is estimated that from the remaining metal no more than 85 further VCs can be cast.